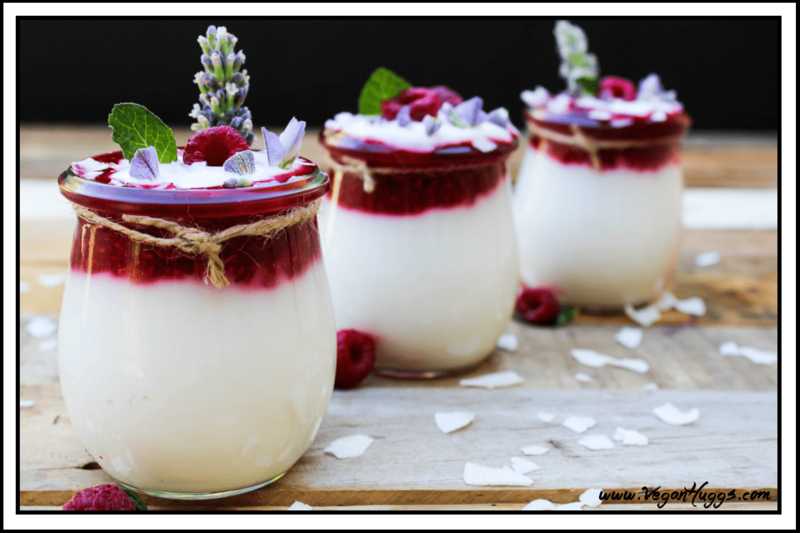 This Raspberry Coconut Yogurt has a super creamy texture, coupled with sweet & tangy goodness! I was always a big yogurt lover in my non-vegan days, but after switching, there weren’t many vegan options in the store. There were a few soy-based ones and they tasted like chalk. It was depressing! Eventually, the options grew a lot and I could choose almond, cashew or coconut yogurt in various flavors. We’ve sure come a long way from the chalky stuff. I’m so happy that these options are now available in stores and they are delicious, but they can get expensive if you are an addict like me. They are much healthier than dairy-based yogurt, but they still have more sugar than I prefer. So, I like to make my own as much as possible. It’s perfect for breakfast, snack or even dessert. The smooth, creamy texture works well in smoothies, baked goods, and many other recipes too. It’s great for on-the-go and can even be made into a fancy parfait, or some yummy fro-yo. You can enjoy it plain, or you can add granola, fruit jam, buckwheat groats, rolled oats, nuts, seeds, coconut shreds, your favorite fruit and more. The options are endless and you really can’t get bored. 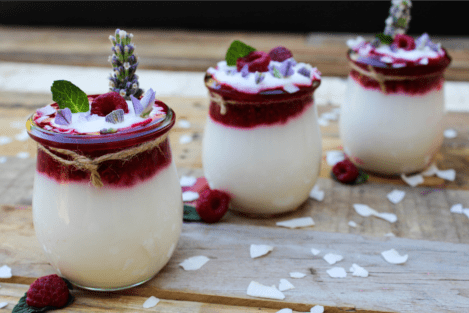 This Coconut Yogurt recipe is quick, easy and super healthy for you. 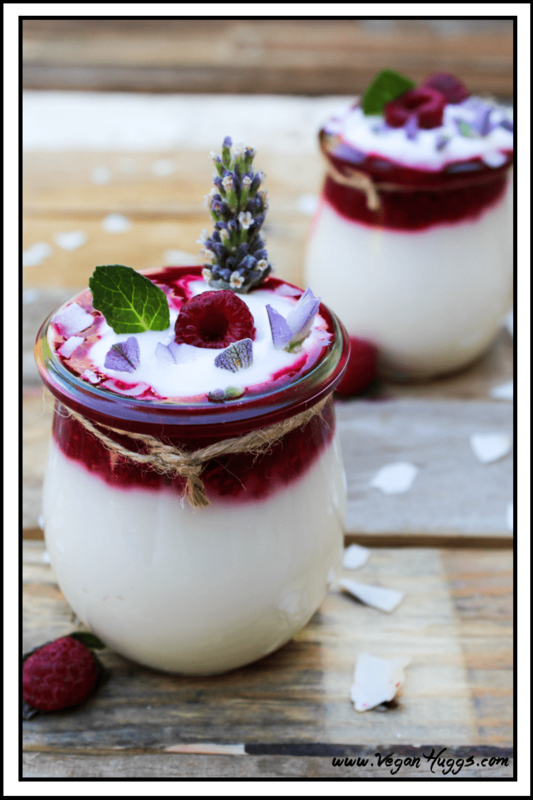 It’s not fermented like traditional yogurt, so you won’t have the extra flora, but it’s still really good for you. 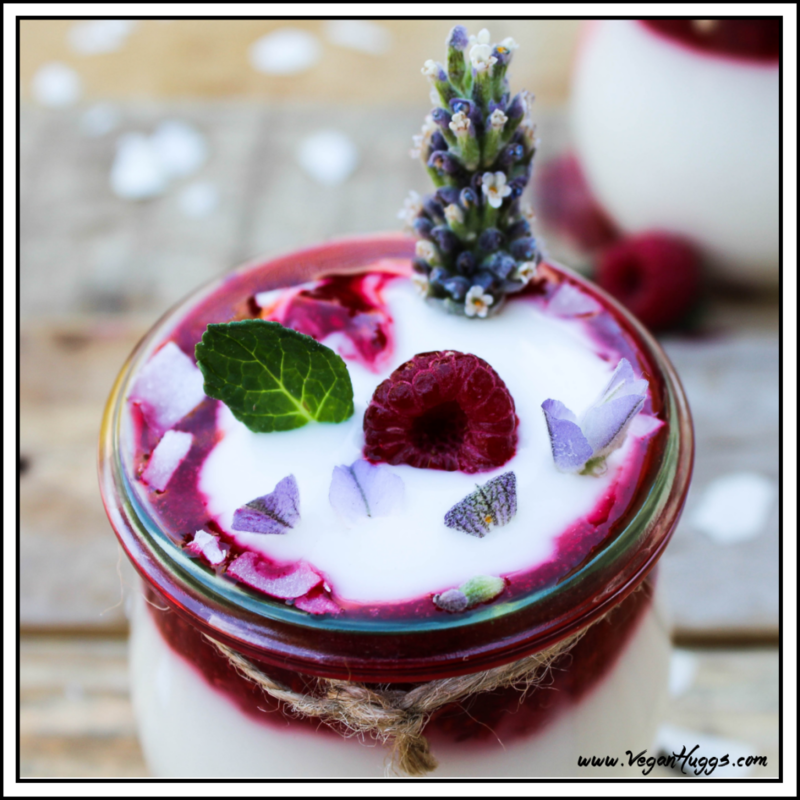 You can always add your favorite probiotic to get some happy bugs in your tummy, it just won’t be as loaded as the fermented variety. I will be sharing the fermented version soon. It’s easy, there are just more steps and waiting time. This tasty treat is good for you! Young coconut meat is rich in medium-chain fatty acids, heart-healthy fiber, potassium, folate and more. The water is super hydrating to the cells in your body and it also makes your skin glow. Bonus! You can usually find white/young coconuts in the produce section, but they aren’t near the brown/mature coconuts because they need to be kept cold. Brown coconut meat will not work for this recipe because the meat is too hard and fibrous. These delicious gems can be a pain to open at first, but once you get the hang of it, it’s pretty easy. Check out this quick video to learn how. You can also buy frozen coconut meat to make it easier. It’s just a bit more expensive. 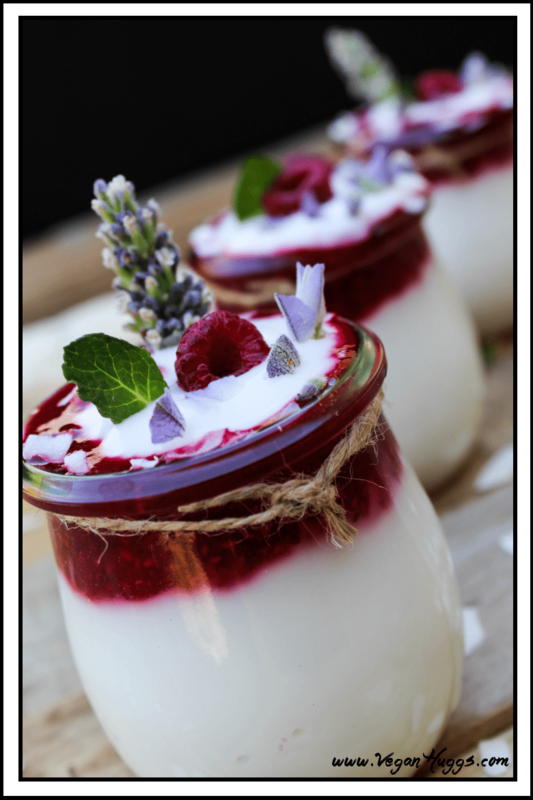 I love adding fresh raspberry sauce to my coconut yogurt because it adds an extra zing and tartness to it. I balance it out with some pure maple syrup and vanilla extract. Any berries will work for this recipe and you can use fresh or frozen. You can also just add your favorite fresh fruit or fruit jam. It all works! So are you ready to give this sweet, tangy and creamy treat a try? Let’s do this! Mash the raspberries and 1 teaspoon of maple syrup in small sauce pan, over medium heat. Set heat to medium-low and lightly simmer for 2-3 minutes. Remove from heat and let cool. 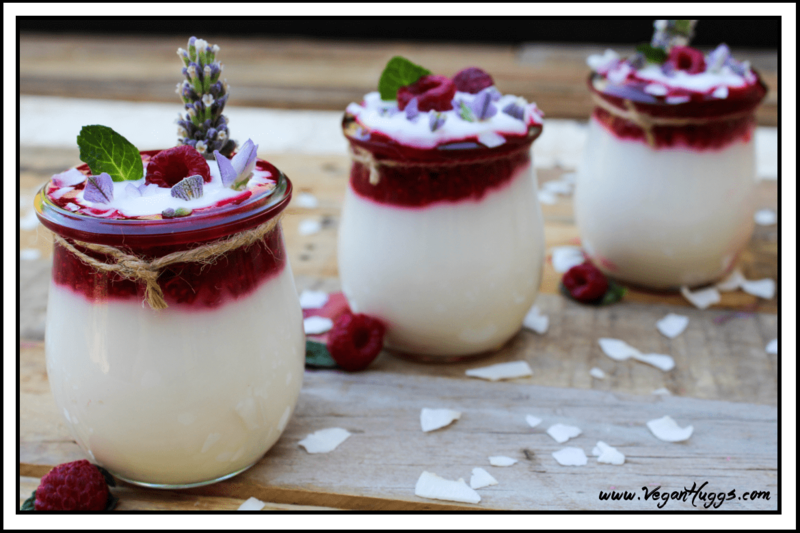 Pour the yogurt into your favorite glass. Then put the raspberry sauce on top. Put in fridge to chill for 30 minutes. *Add more or less lemon, depending on how tangy you like it. *Can be stored in the fridge for 3-5 days. *Prep time doesn't include chilling time. Looking for more healthy snacks? You might be interested in this Chewy No-Bake Granola Bars. They are full of flavor with the perfect balance of salty and sweet. They are oaty, nutty & fruity! * Pin for later ???? This looks so amazing I’ve wanted to try a Coconut Yogurt for a long time. 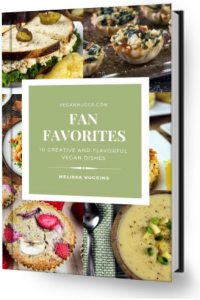 Have you ever tried fermenting it in a dehydrator? Hi Maren, Thank you so much! No, I haven’t tried it in a dehydrator. Have you? When I make the fermented version, I usually put it in the oven, but with just the oven light on for about 24 hours.